Dr. Leys is certified by the American Board of Surgery in General Surgery and Pediatric Surgery. 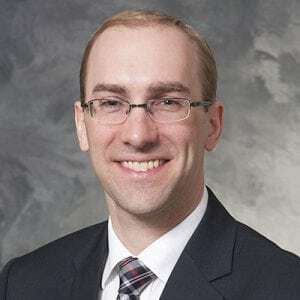 He is Director of Pediatric Minimally Invasive Surgery at American Family Children’s Hospital, and his clinical practice emphasizes minimally invasive approaches to all types of pediatric and neonatal surgical disorders. He specializes in congenital malformations, chest wall deformities, thoracic diseases, surgical oncology, and gastrointestinal disorders, including gastroesophageal reflux and inflammatory bowel disease. Dr. Leys provides a wide range of services including Congenital Malformations, Chest Wall Deformities, Thoracic Diseases, Surgical Oncology, Gastroesophageal Reflux, Inflammatory Bowel Disease. Dr. Leys’ research interests are focused on evidence-based pediatric surgery, including clinical trials and quality improvement. Adherence to APSA activity restriction guidelines and 60-day clinical outcomes for pediatric blunt liver and splenic injuries (BLSI). Reimaging in pediatric blunt spleen and liver injury.